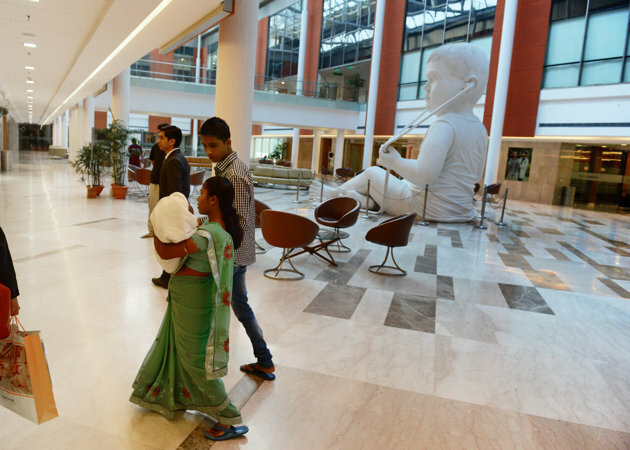 The 21-month-old girl from Tripura who has undergone five surgeries for big head syndrome at a Gurgaon hospital, is now fine and ready to go back home. 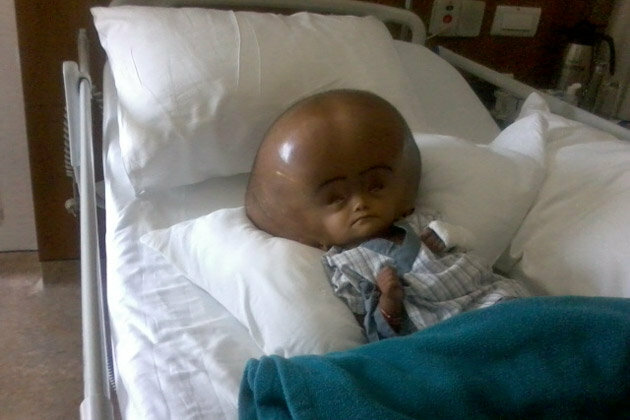 Roona, from Agartala, was admitted on April 16 night for a rare condition called Hydrocephalus, also known as water in the brain. Here, there is excessive accumulation of cerebrospinal fluid in the brain, causing it to enlarge. This is a congenital condition wherein the overgrowth starts in the womb itself. 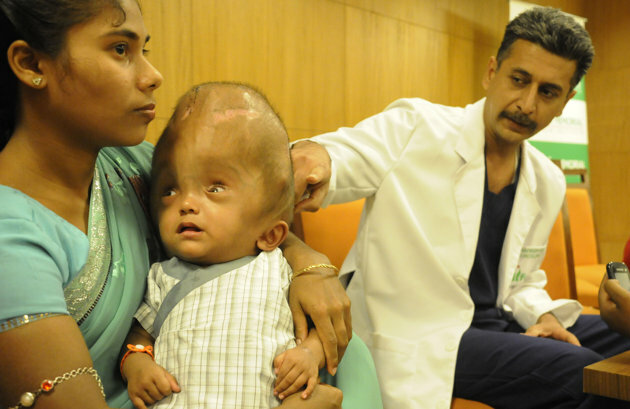 After the surgeries, her head had swollen up to a circumference measuring 94 cms has been brought down to a manageable 58 cm. Doctors who are treating her at the Fortis Memorial Research Institute, said Roona would need another surgery for remodelling her skull to make it proportionate to her body. Doctors also said that her head is still big and needs constant support. Her head had developed bed sores due constant lying down. The first surgery on Roona was performed on May 15. Begum, who belongs to a poor family, was malnourished and weighed only 14 kgs at the time of admission. She had also suffered from a chest infection and her eyes were sunken. Due to this, she had to be examined several times and her condition made stable before conducting the surgery. When Roona was born, local doctors told her parents to take her to a private hospital in a big city but the costs were too high for Rahman, an illiterate labourer who earns 150 rupees ($2.75) a day. Roona's condition had caused her head to swell, putting pressure on her brain and making it impossible for her to sit upright or crawl. Her parents could not afford to pay for the treatment but photos of her that were published by several news agencies like AFP, saw an overwhelming outpouring of support worldwide, with donors donating a substantial sum for her treatment. Two Norwegian college students, Jonas Borchgrevink and Nathalie Krantz, started an online campaign through MyGoodAct.com that has raised $58,000. The campaign has paid around $30,000 to the charitable arm of Fortis hospital, as the initially estimated cost of Roona’s treatment multiplied by more than 30 times, Borchgrevink told AFP. 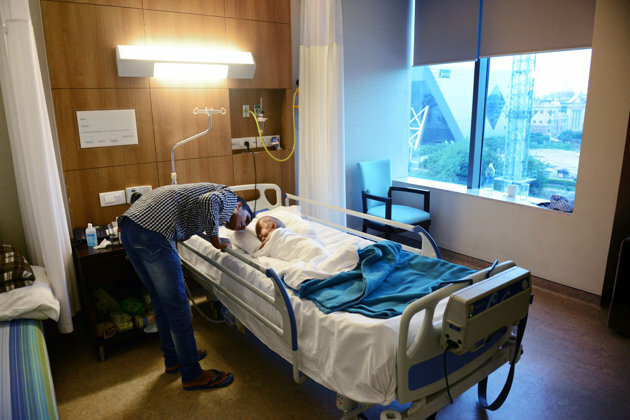 The donations have covered about half the total cost of treatment so far, with the rest paid by Fortis hospital’s charitable foundation. “We still have around $28,000 left, which we want to send to the family for her aftercare,” Borchgrevink said. How Badly Do We Eat?